Lee Kum Kee continues adding to their already vast selection of tasty Asian-inspired condiments and sauces with new Sriracha selections. 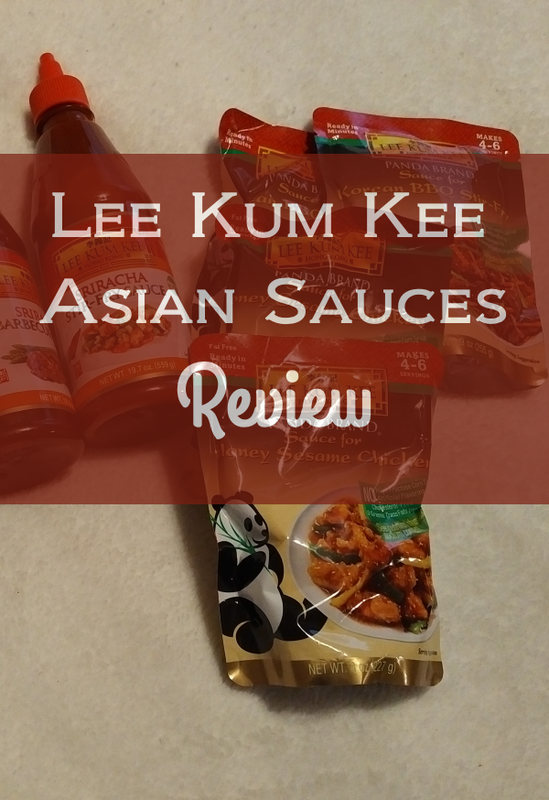 I’ve reviewed Lee Kum Kee products in the past and found them delicious and super easy to use. I couldn’t wait to try my latest batch of sample Lee Kum Kee products, especially given how much I like hot and spicy foods. The company’s new Sriracha BBQ sauce and stir fry sauce piqued my interest right away. I love how versatile Lee Kum Kee sauces are. Though they come with recipes and serving suggestions right on the container, you can use your own creativity to dream up something tasty with whatever ingredients you happen to have on hand. Sriracha is a hot chili sauce which first gained steam in the 1980s. It’s generally made from red chili peppers, vinegar, salt, sugar and garlic. That hint of sweetness makes it unique among chili sauces, giving it a hot/tangy flavor. I thought the Sriracha BBQ sauce would taste yummy poured over thawed and cooked frozen meatballs, and I was right. The Sriracha BBQ sauce over meatballs tasted fantastic and definitely had a lot of kick to it. The Sriracha stir fry sauce made a delicious chicken stir fry and also offered quite a bit of heat. Sriracha sauces aren’t for sensitive palates that shrink away from hot and spicy foods. 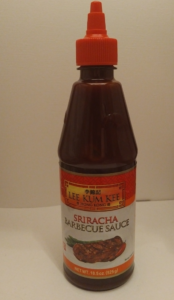 If spicy foods aren’t your style, Lee Kum Kee still has you covered. 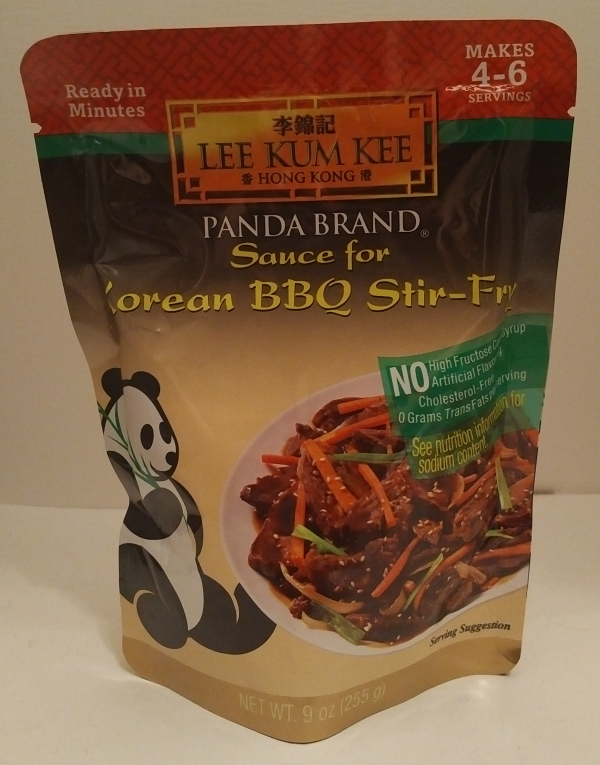 If you like your Asian sauces on the milder side, check out Lee Kum Kee’s Panda Brand Sauce for Honey Sesame Chicken or Korean BBQ stir fry sauce. Both include recipes on the package, but are also flexible enough to go with whatever meat or chicken you have in the fridge or freezer. 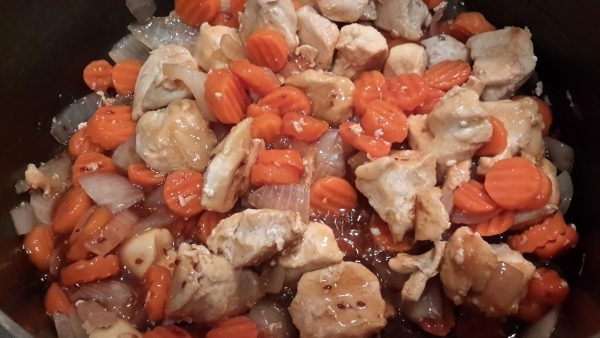 For example, I poured the sesame chicken sauce over cooked boneless chicken breast pieces along with onions and carrots for a wonderful stir fry. 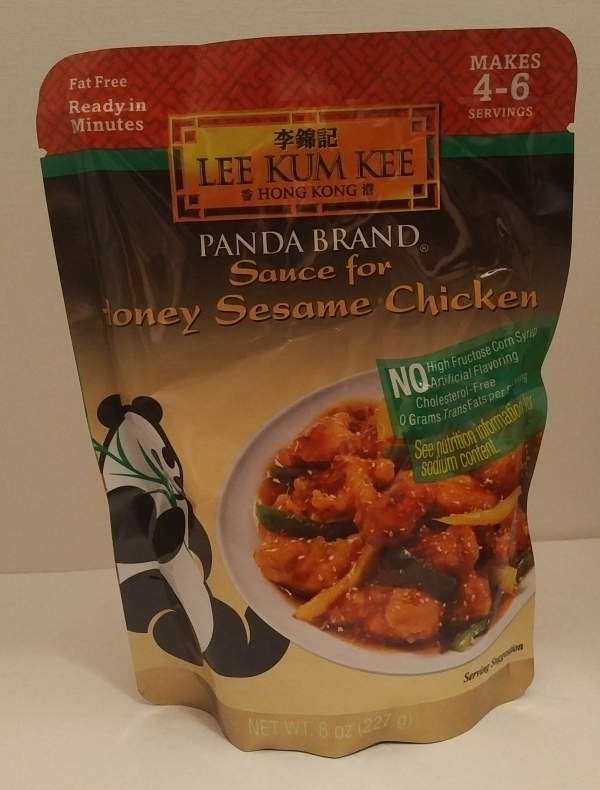 You shouldn’t have to search too far to find Lee Kum Kee products. You’ll see them in many major grocery stores on shelves in the international foods section, with most of their products costing about $3.99 each or less. Plus, you can even find many of Lee Kum Kee’s most popular products conveniently through Amazon.com’s Lee Kum Kee store. 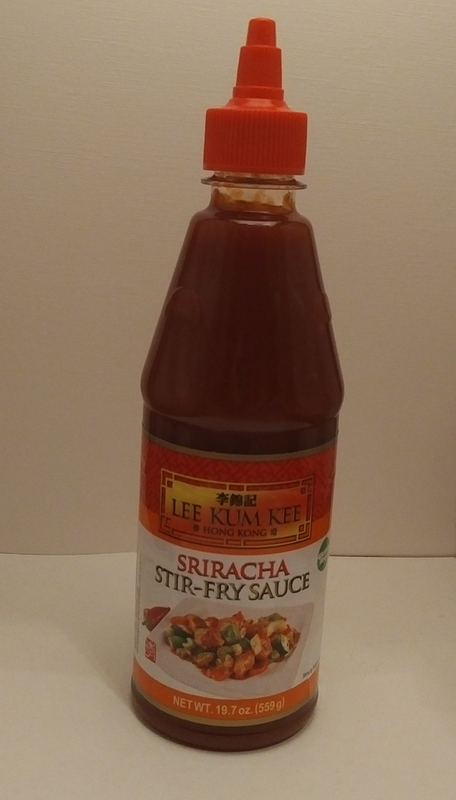 In addition to the above mentioned new Sriracha sauces, Lee Kum Kee also sells Sriracha chili sauce, Sriracha mayo and Sriracha ketchup. The man credited with inventing oyster sauce founded Lee Kum Kee in 1888, and the company has grown to cover more than 100 countries with 220+ different products. The company’s sauces have even been served to astronauts in outer space. What’s your favorite way to make a stir fry? Do you like it hot and spicy or with less kick to it? Have your tastes changed over the years?